Cherished pets can be enormous sources of support and comfort to their owners. For those who are experiencing mental or emotional health issues, they can be especially helpful in providing relief from suffering and offering unconditional love. 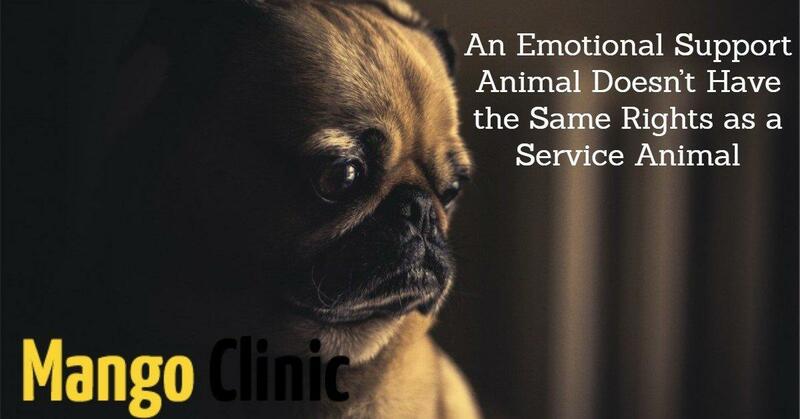 In many cases, an individual who suffers from an emotional or mental disability can get a special letter from a licensed mental health professional that designates their pet as an Emotional Support Animals (or ESA). 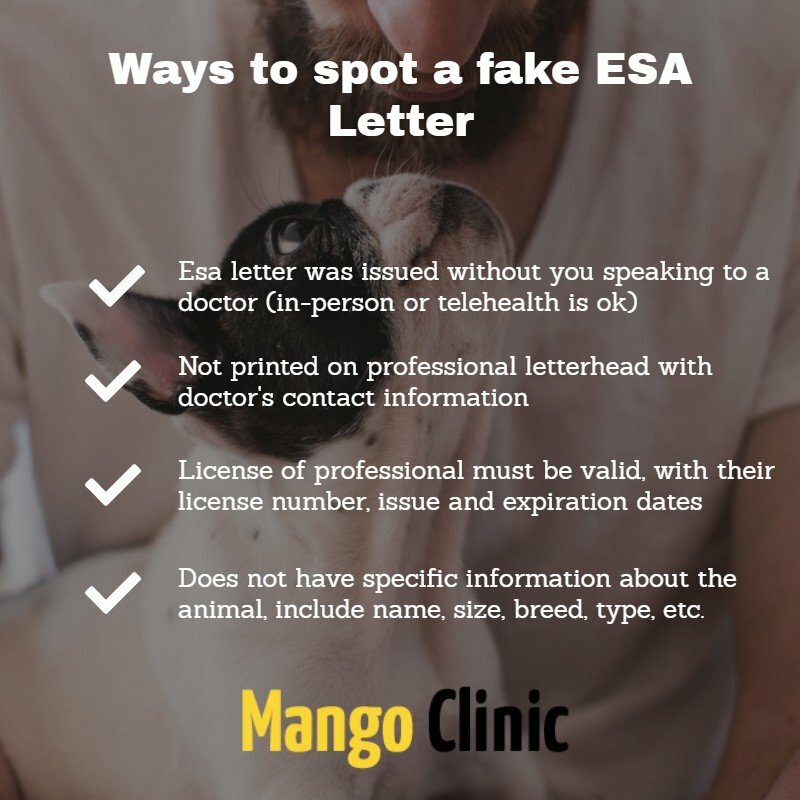 Are you curious about what an ESA is and how you can get a verified letter so that your pet can benefit from the laws regarding ESAs? Read on for answers to frequently asked questions regarding Emotional Support Animals. An Emotional Support Animal is not the same as a service animal, which requires special training and certification. ESAs do not have to be trained and can be any type of animal including a cat, dog, bird, hamster, reptile, or even a miniature pony or pot-bellied pig. Your ESA must be well-behaved and house-broken and cannot pose a danger to your neighbors or members of the general public. However, they do not need to perform any special tasks to be considered an ESA. Many people already own a pet that provides them with the support and comfort they need and will get a letter to certify their current pet as an ESA so they can benefit from housing and airline laws. The main purpose of an ESA is to provide companionship, comfort, and support for their owners who are experiencing a mental or emotional disability. ESA may help those with PTSD, anxiety, depression, bipolar disorder, social anxiety disorder, or other types of major emotional issues. What Types of Animals Can Be Emotional Support Animals? As stated above, almost any type of animal can qualify as an ESA as long as they provide the emotional support and comfort needed by their owner. Dogs and cats are the most common types of ESAs. Though some breeds are better at providing comfort than others, there is no legal requirement for your ESA to be a certain breed or type of animal. Dogs and cats make popular ESAs because they are the most popular types of pets in the United States and also because they are relatively easy to take care of and travel with. In addition, dogs and cats are easier to share physical contact with. This physical contact is often what provides the support and comfort their owners need. It is legally possible for birds, rats, rabbits, snakes, monkeys, hedgehogs, and other animals to be certified as ESAs. However, they may pose a hazard to public safety, be difficult to care for or travel with or be insufficient in providing the physical comfort their owners need. 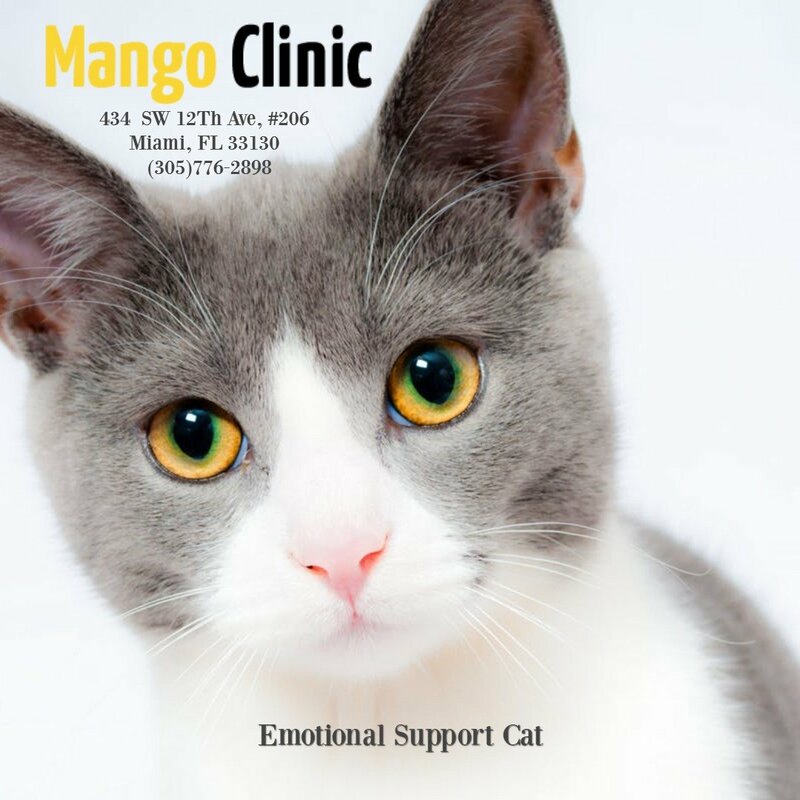 Each case is evaluated individually by a licensed mental health professional to determine if the animal is providing sufficient comfort and support to qualify as an ESA. How does ESA Dogs Differ from Therapy Dogs and Service Dogs? There are many differences between emotional support dogs, service dogs, and therapy dogs. An Emotional Support dog is specifically for those suffering from emotional or mental disabilities and is not trained to perform certain tasks. Instead, they act as a companion and source of emotional support to their owners in the form of therapy. For a person to designate their pet dog as an ESA, they must have a valid letter from a licensed mental health professional. Service dogs, on the other hand, are specifically trained to help individuals with impairments such as seizures, hearing loss, visual impairment, post-traumatic stress disorder, or mobility impairments. They must be trained and certified as service dogs and benefit from being able to go anywhere their owners go. Therapy dogs are typically not owned by the person they are treating. Instead, their owner takes them to facilities or locations where their support is needed such as nursing homes, hospitals, or mental health facilities. The therapy dogs are a source of comfort and support to those they visit with, but they do not stay with the individuals they are helping and go home with the owner after their visit concludes. What are the Laws, Rules, and Regulations Related to ESAs? There are two primary laws that relate to Emotional Service Animals. The Fair Housing Amendment Act of 1988 (FHA) states that those with ESAs must be able to keep their pets with them even if they live in a housing facility with a no-pets policy. The landlord must also make suitable accommodations for their animal and cannot charge any extra fees such as pet fees or deposits related to the animal. ESAs must also be allowed into any ‘common area’ in the facility. The second law is the Air Carrier Access Act (ACAA). This law states that no airline can refuse the owner of an ESA or the ESA itself from air travel and that the ESA can travel in the cabin with its owner. The owner is also exempted from fees that may otherwise be charged to those who travel with pets. Passengers who intend to bring their ESAs with them on a flight should contact the airline prior to travel to verify their pet and alert the airline of their status. Can I Own More Than One ESA? Yes. The ADA (Americans with Disabilities Act) makes allowances for those individuals who require more than one ESA to assist with their therapy. However, if you own more than one ESA, you may have to check with your landlord or airline if you plan on living with or flying with multiple ESAs. Do I Need an ESA Letter? To benefit from the laws that protect ESAs and their owners, you must have a valid Emotional Support Animal letter written by a licensed mental health professional. This letter must be written by an LMHP who has treated you or who has conducted a thorough health screening and determined you would benefit from an Emotional Support Animal. Most landlords and all airlines will require a valid ESA letter before they grant you the legal benefits of owning an ESA. How Do I Qualify for an ESA Letter? If you have an emotional or mental disability such as anxiety, ADHD, depression, agoraphobia, post-traumatic stress disorder, or other similar conditions, you may be able to qualify for an ESA. If you are currently seeing a licensed mental health professional, you can simply tell your therapist that you believe you would benefit from an ESA and ask them to write a letter verifying your condition and that your treatment would be enhanced by an ESA. If you are not currently seeing a mental health professional, you can find a service online that will help connect you with one. Once you have been connected with an LMHP who is licensed to practice in your state, he or she will conduct a thorough health screening to determine what type of mental or emotional disability you suffer from and that you would benefit from an ESA. If you qualify, the LMHP will write you an ESA letter so you may benefit from the laws governing Emotional Support Animals. How Can I Determine if My ESA Letter is Legitimate? Unfortunately, there are many online companies who take advantage of those with mental or emotional disabilities and provide fake ESA letters. Once you know what to look for in an ESA letter, you can easily determine if the service you are working with is legitimate. First, the service must have a licensed mental health professional on staff. You can ask for verification of this before you go through the process of paying for your ESA letter. Second, the LMHP must conduct a thorough health screening before they offer to write you an ESA letter. Without this screening, your letter will not be valid. If the service says they offer ‘quick’ or ‘cheap’ ESA letters, it may be a good indication that they are not a legitimate service. ESA letters involve time and effort and therefore a cheap or quick alternative is generally invalid. You should also be aware that any service that offers to put your animal on an ‘Emotional Support Animal Registry’ is not legitimate. There are no official registries for ESAs and your ESA is not required to be registered anywhere to benefit from ESA laws. Can My Request for an ESA Letter Be Denied? Just because you ask your therapist or an online LMHP for an ESA letter does not guarantee you will get one. The mental health professional must legally perform a thorough health screening on you to determine what type of mental or emotional disability you suffer from and if this disability would be improved by the presence of an ESA. If the LMHP cannot verify your condition or does not think that an ESA would help your condition, your request for an ESA letter will be denied. What Public Places Can I Bring My ESA to? Your ESA can accompany you to any pet-friendly location throughout the world. In some cases, you may also be able to bring your ESA to locations that otherwise restrict the access of pets. For example, if you believe having your ESA with you in your place of employment is necessary for your therapy, the Fair Employment and Housing Act would apply and your employer would need to make suitable accommodations for you to bring your pet to work. You will also be able to have your ESA with you in your college dorm room or housing facility and you may also be able to take your pet with you to class in some cases. When traveling, you are legally allowed to have your ESA with you in the cabin of the airplane and will not be charged any extra fees for doing so. Many hotels will also accommodate ESAs for their guests, though they are not legally required to do so. If you plan on traveling and staying in a hotel, always call first to find out if you will be able to keep your ESA in your room with you. When it comes to restaurants and stores, you should always check their policies before attempting to bring your ESA in. While some restaurants and stores are pet-friendly or willing to make accommodations for ESAs, they are not legally obligated to do so. It is always smart to call ahead to see where your ESA will be welcome. 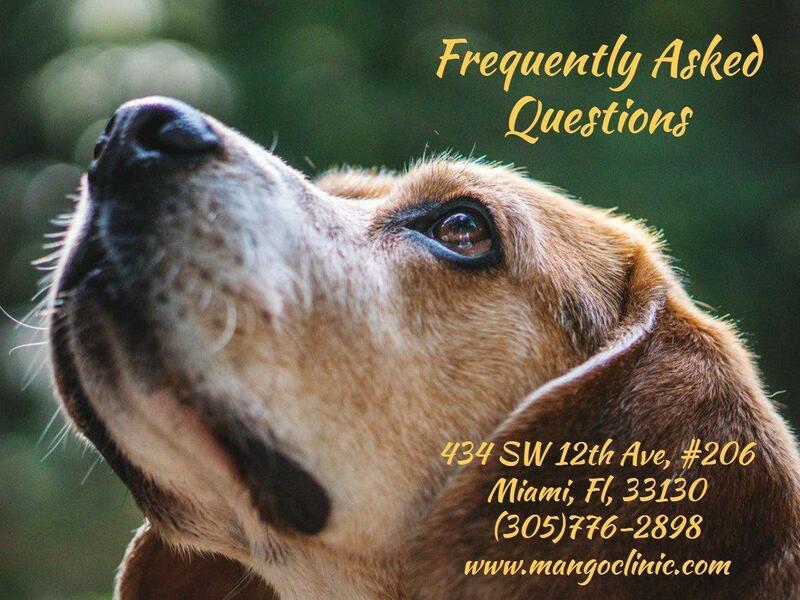 In-person evaluations in our Miami Clinic click here. Online ESA certification click here. nextIs it Difficult to Get an Emotional Support Animal Letter?